When you purchase a solar system from Infinity Solar, we take care of everything! Detailed drawings designed specifically for YOUR solar installation. We use the plans to help guide you through how the installation will look. We provide roof drawings with solar panel placement to give to your HOA if needed. We submit all required paperwork to your city for permit approval if needed. Free revisions if required by the city for permit approval. 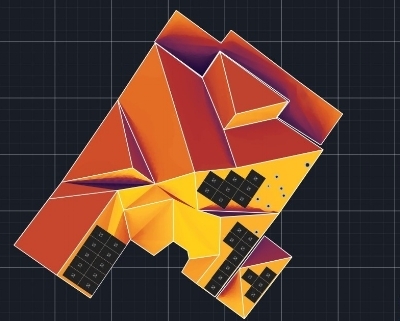 Complete shading analysis of your roof for calculating maximum incentive money. We work with your power company to get incentive approvals and all necessary paperwork completed. Permitting processes for solar projects and installations can involve various local, state, and federal entities—each of which has its own requirements for approval. While every distributed photovoltaic system must receive a permit from the local authority having jurisdiction, utility-scale systems also require state and/or federal permits. Infinity Solar provides designs and permitting services to all of our customers. Every solar electrical design is drafted to comply with city codes and NEC regulations. We also provide any corrections and updates of the submitted solar panel plans, if needed, to keep solar installation costs down. We guarantee that all of our work is in compliance with all state laws and federal laws. Infinity Solar has a Master electrician on staff at all times.